Campers will enjoy training on the Dalling Sports Complex at St Joe's High School. Carapezzi Field is a state-of-the-art synthetic turf field. St. Joes is easily accessible from the Merritt Parkway and a great pre-season training option for Fairfield County Field Hockey players. 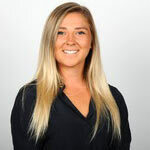 Division 1, Sacred Heart University Assistant Coach Nicole Miller, will educate campers to play the game of today, fast-paced, creative & dynamic. 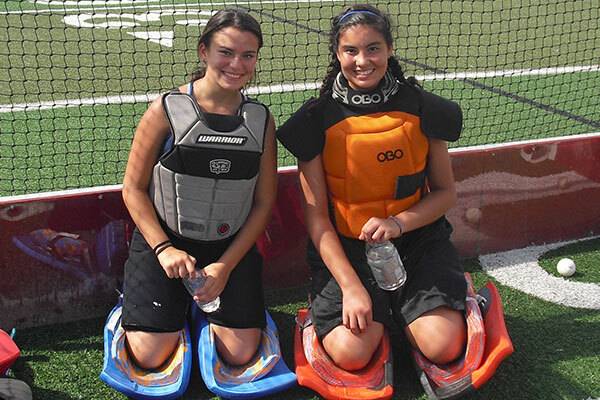 Revolution Field Hockey is a USA Field Hockey Partner Camp. Every camper will receive a limited edition reversible jersey, ball, water bottle, and lanyard as well as other fun prizes. 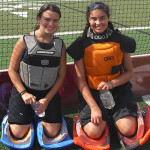 *Revo Field Hockey Camps are open to all ability levels, ages 10 - 18. Nicole Miller joined the Pioneer coaching staff in May 2017 as an assistant coach. Miller's primary responsibilities will be with the Pioneer offense, recruiting, video analysis and general day-to-day operations of the program. Check in/out: Day Campers check in daily at 9am. Check out daily at 3pm. (check out for half day campers is 12pm) * The final day of camp check-out is 12pm for everyone. Camp was great and the coaches were excellent. My daughter walked away tired and happy. Meg daughter LOVED the camp and wants to go back next year. Best coaching she has ever had! My player came back from camp and for the first in a long time I was the one learning some new lessons. You taught her so well, she’s now passing on everything to the other team members and we’re seeing such rapid improvement in our games.